Welcome to Racerhead, coming to you from the soon-to-be-frozen tundra of West Virginia. We're expecting a big winter storm, with temperatures to as low as -5 Fahrenheit on Saturday night. That means I picked a really bad weekend to go snowboarding at Snowshoe rather than heading to Southern California for Anaheim 2. I will be watching on the NBC Sports Gold app, more likely than not while shivering somewhere. It's been wet out there all week, and that may certainly affect the track that the Dirt Wurx guys built early (and quickly) and got covered in plastic as they anticipated the earlier rains. Make sure you check out the fine work they did in the video farther on down. Instead, it was the Rocky Mountain ATV/MC-KTM-WPS' Blake Baggett who finally got the monkey off his back and earned his first 450SX win. 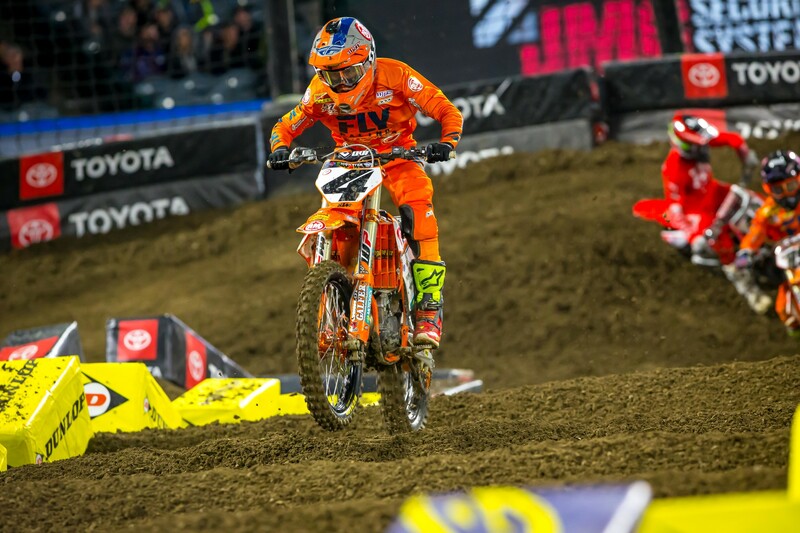 Baggett was disappointed in his ride at the opener, saying he felt like he went home before the night show, even as he’d qualified fastest that afternoon. 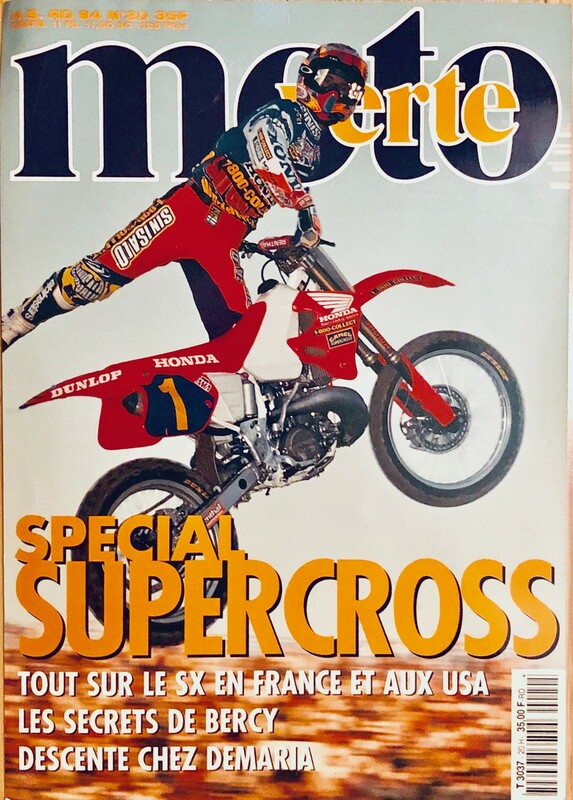 But at Glendale he showed up early and stayed late, seizing on a tangle between defending champion Jason Anderson, who was also trying to bounce back quickly after a lousy Anaheim 1, and Roczen, which sent the #94 rider to the ground. That seemed to invigorate Baggett, who went after and caught Anderson for a solid first career 450SX win. 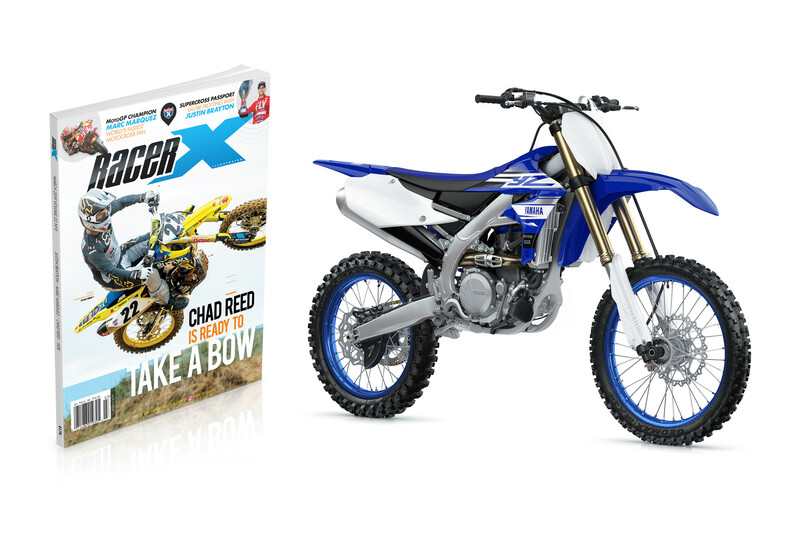 While all this was going on, Monster Energy Yamaha's Justin Barcia could not repeat his A1 performance, slipping back to sixth and losing that points lead and red plate to Roczen, the only rider to be on the box in the first two rounds. But Barcia is still right there, one point behind. And then there's Monster Energy Kawasaki's Eli Tomac and Red Bull KTM's Marvin Musquin. Eli ended up fourth, Marvin fifth. Questions continue to surround both regarding whether or not Eli was hurt before the season and how bad Marvin's known knee injury really was. 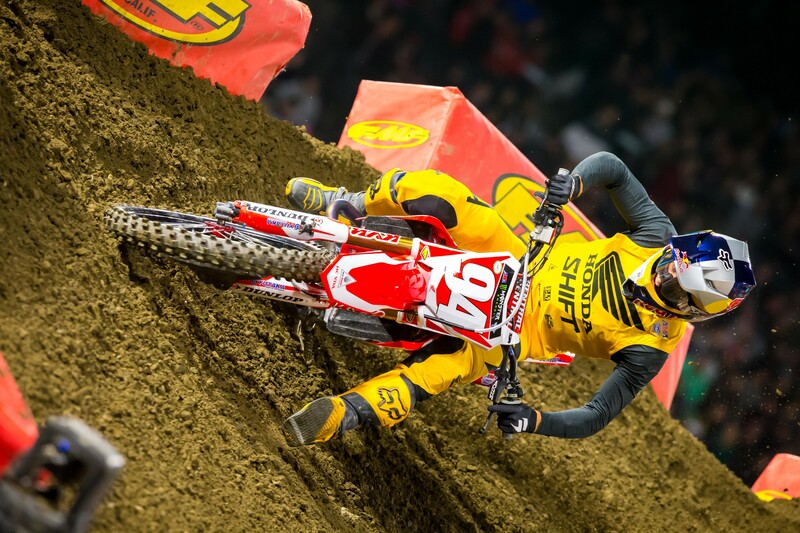 Both rode tentatively at Glendale, which was smart, because last year they both scored zero points at the second round, and that was pretty much that for the title. Instead, Tomac's just four points behind, and Musquin is another seven back. With a good night tomorrow night, Tomac could be right back in it. Short may be doing a different kind of racing now, but he's still an absolute class act, and man can he ride! Australian rider Toby Price won the 2019 Dakar Rally for the Red Bull KTM Factory Racing team, with Matthias Walkner second, and Sam Sunderland third. This was KTM's 18th consecutive victory at the iconic rally event. And in true Shorty fashion, he posted yesterday that he's now headed to the State Line Slam WORCS race in Primm, Nevada, posting, "I just raced 5,000 kilometers the past 10 days, so what's a few more..."
Brian’s life went a lot of directions, but the things he was most proud of, besides his loving family, was that one AMA National point and that super-rare Hi Flyers Trading Card. 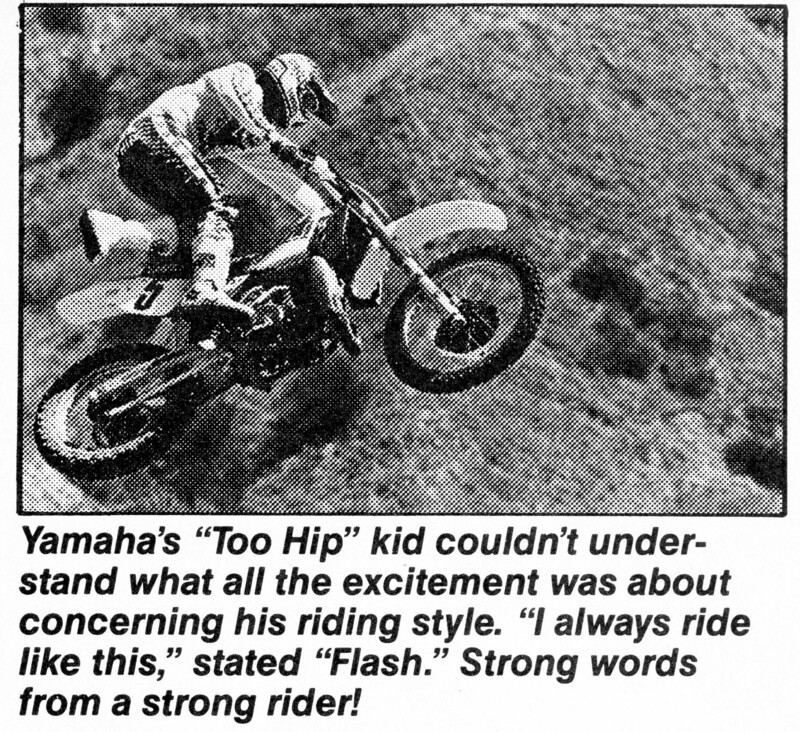 Motocross was always in his heart, as well as his kids, who grew up with a dad that raced and were born into it. Godspeed, Brian Battaglia. And then there is Nathan Ramsey, who won in five different seasons (1999, 2001, 2004, 2005, 2006). 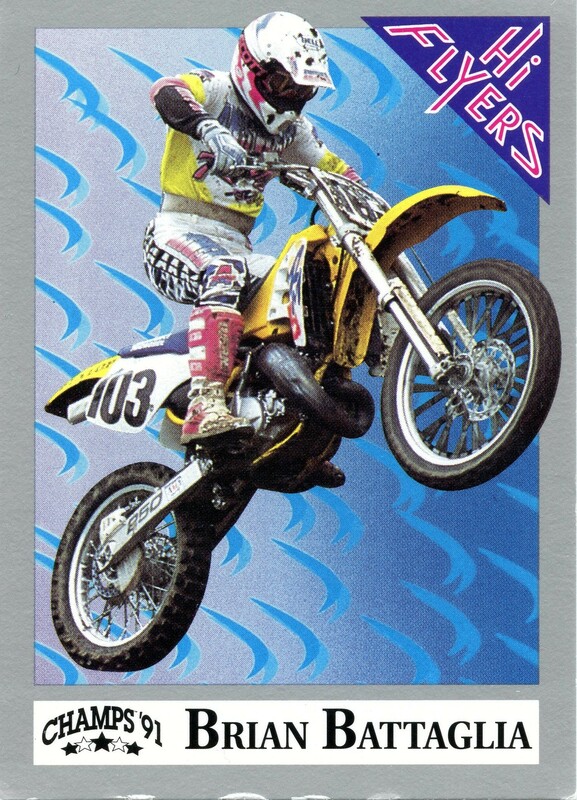 He's also the only rider on the list of 125/250 SX wins in four seasons who also won a premier-class main event, the 2002 Pontiac round. 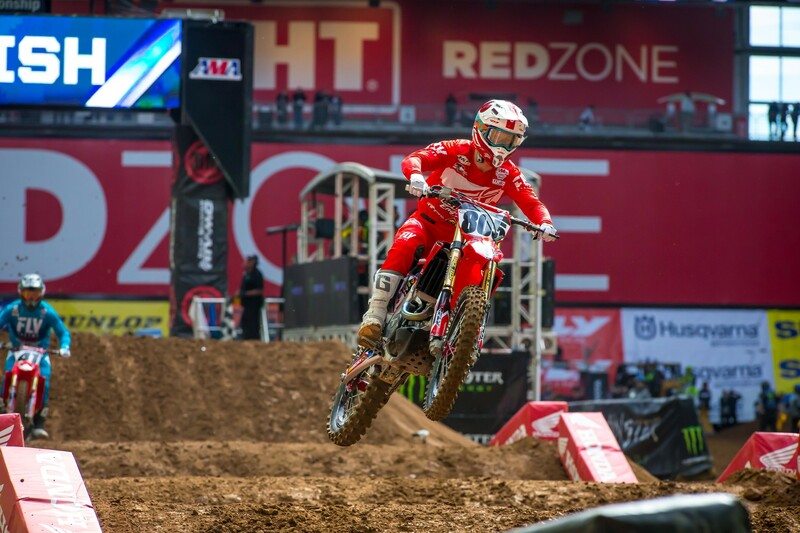 One of the "huh" moments of the first two rounds is the three-digit #805 Honda rider out there in both 450SX main events. BWR Honda's Carlen Gardner rode pretty well last season in both the 250 and 450 classes, but he's been better than ever to start 2019, so I had to give him a call for the FXR Racing/Race Tech Privateer Island Pod here to figure out what's gotten into him. Carlen is from central California and rides with the Enticknap brothers at Castillo Ranch. He credits his great start (which has seen him earn more points in the first two races than he earned all of last year) to improved mental work in the off-season. Gardner explained that he's worked on himself, working on believing he belongs with the big dogs, and it's paid off. Gardner's not a fast-lap type of dude, so he might need to go through the LCQ this weekend to get into the 22-rider Triple Crown format, but don't bet against him. Really nice guy who's working on getting up there into the mix of main events. Keep an eye on him. I love stats. Whether it's hockey or baseball or even moto, I've always enjoyed going back and looking at someone’s accumulation of their work. 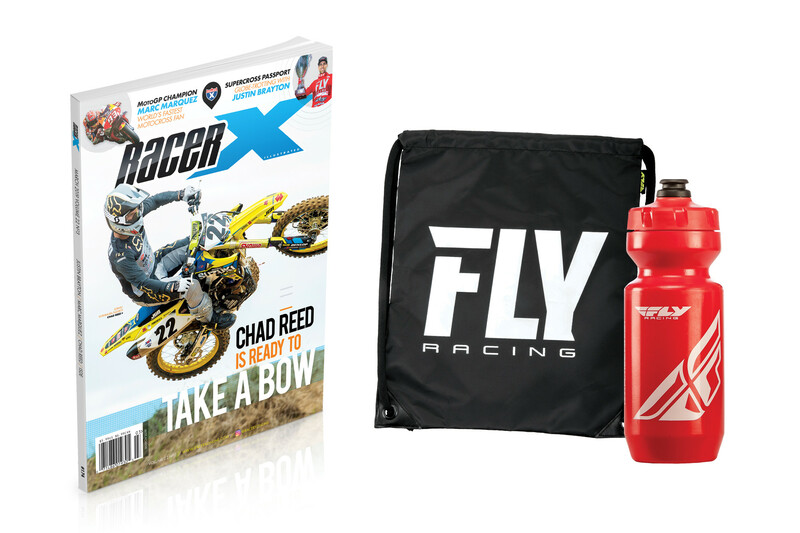 The Racer X Vault is probably in the top ten greatest things to ever happen in my life. That's why I cannot fathom why the AMA/Feld/FIM/WADA/Someone hasn't come up with a name for the Triple Crown "main" events and kept track of the wins. Justin Brayton and Cole Seely have "main" event wins, and if we're going to with these now and in the future, I'd like to see something that indicated a rider beat every other rider in a race that was tabulated toward an overall win. Wouldn't you like to know a rider’s record at these things? THERE NEEDS TO BE STATS FOR THIS, EVERYONE. As far as the name, well, I have a preference that one of our listeners suggested to keep things light and funny, but it can't be printed over here. In fact, it's probably NOT going to work, but hey, if no one else is going to call these things anything, then at least let me. You can't call them mains, they can't be motos... so they need a name. Crowns? Semifinals? Whatever you decide, make it better for fans, for the TV show, for the record books, and keep track of these things.